High vs low risk exposure; helps determine whether or not to start PEP. Always try to test the source patient for HIV, and other infectious diseases such as Hepatitis C and Hepatitis B. The HIV Needle Stick Risk Assessment Protocol quantifies gives healthcare workers a more objective risk assessment of getting HIV after a needle stick. If indicated, PEP should be started in conjunction with infectious disease consultation, as well as gathering information about the source patient and his or her medication regimen. *Acute AIDS illness defined as “end stage AIDS, hospitalized, high viral load”. Unknown HIV status, high-risk situation defined as “suspected HIV, IV drug user, unknown needle with high local HIV prevalence”. Vertesi L. Risk Assessment Stratification Protocol (RASP) to help patients decide on the use of postexposure prophylaxis for HIV exposure. CJEM. 2003 Jan;5(1):46-8. Les Vertesi, MD, is the executive director of British Columbia's Health Services Purchasing Organization and a part-time emergency room physician. He is on the faculty of Simon Fraser University's Institute for Health Research and Education and is associate director of Health Research with the Fraser Health Authority of British Columbia. 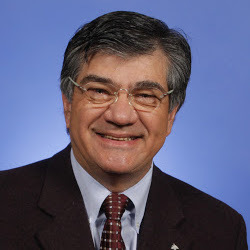 Dr. Vertesi published a book in 2003: Broken Promises: The Trouble with Canadian Medicare...and How to Fix it.